Daughter #2 is Mary in the Christmas play. While I can remember (some of) my children’s Christmas pageants, I don’t have any recollection of my own. In Australia school finishes a couple of weeks before Christmas so it’s a frenzy of school concerts, carols, raffles, farewells to classmates and teachers and getting the Xmas preparations done. I can only assume that my primary school was no different and that we did carols – but a blank is all I come up with. In the four years of high school, two were major examination years so you finished school in advance of the usual pre-Christmas rush. One of the traditions at my girls’ high school was writing little notes to each other on holy pictures and exchanging them. I still have some including one from a second cousin I knew nothing about until we found ourselves in the same high school class: her grandmother and my grandfather were siblings. Our daughters went through much the same process of pageants, plays, concerts and graduation dinners, stirred and mixed with a lot of emotion and nostalgia. The cycle has started again with our grandchildren’s end-of-year Christmas events and with one teacher in the family we also see it now from the other side of the fence. So many of your posts make me want to reply, but… however, bear with me if I jumble a few together. I’ve loved this series… what a great idea and one I may copy next Christmas. As for Christmas pageants, I was in many… as Mary, as a shepherd and once as a tree outside the stable… teacher said I’d had enough roles…:-) However, my most famous role was my first… I have absolutely no idea what it had to do with Christmas, but I was chosen as one of Two Little Girls in Blue…I had very long, dark brown hair, always shiny… the other girl had short, curly, blonde hair. We were dressed in pretty blue frocks, flowers in our hair, sat on swings, with flowers on the ropes… a beautiful picture. All we had to do was to swing to the song Two Little Girls in Blue. I was so excited… the big night came, all was perfect… I was pushed gently on the swing ….and then screamed and jumped off and nothing would persuade me to go back… What no one had thought of, was to turn on the foot lights at a rehearsal. I saw a very bright light beneath me, felt the heat and was gone… Mum said half the audience was laughing. The others were wondering what had happened… the other little girl got upset as well and that was the end of that segment! As for stockings, ours was a pillowcase at the end of the bed, never a lot in it, but always an orange, some home made lollies and a small 3d book .. anyone remember those? I still have one somewhere… must seek it out and post a photo on my blog. Other gifts were beneath the tree. Last comment… it wouldn’t be Christmas if we didn’t visit my Mother’s grave, though even after 29 years, I can barely leave the flowers without tears…another story for another day. Thanks for sharing these stories…I think you do have to do the series next year…sounds like you have a lot to add….I particularly liked that there needed to be a tree! I smiled at the “Two Little Girls in Blue” and your reaction. Kids are funny in how they react in these circumstances. I felt for my granddaughter recently at her Xmas Calisthenics concert when she got up on the 3rd occasion “Emma” was called out. Surely they could have named them fully -she looked as bewildered as you seem to have been. I’d love to hear the story of you visiting your Mother’s grave… I hope you have a happy day even while remembering sadly those gone before. Sorry Chris, I don’t think I replied to this one though I read it when it came through….lost the plot with this one I’m afraid. 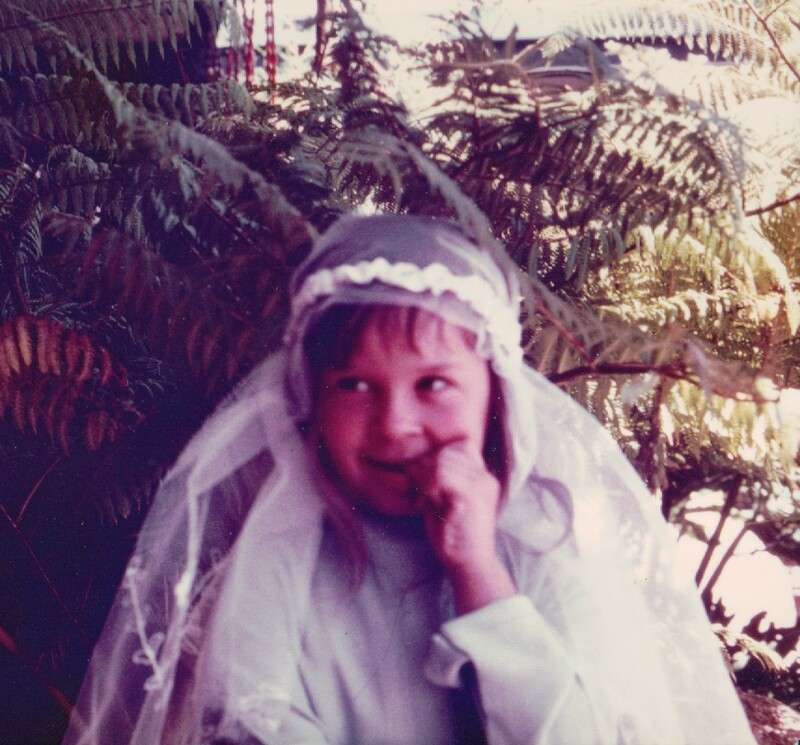 I loved your Xmas pageant stories incl the mishaps..agreed not sure about the connection between “two little girls in blue” and Xmas…you’d both have looked so cute. Kids are just gorgeous in these things and its the mishaps that are endearing. Don’t remember 3d books I’m afraid even though I do remember pennies.